Why do men and women use the same office chairs? Don’t size, weight, and anatomical differences matter, particularly considering that during an average work life, we spend more than 80,000 hours in an office, most of it sitting? Gernot Steifensand, son of F. M. Steifensand, inventor of the first ergonomically designed chair in the post-war world, has considered these questions for years. To answer these questions, Gernot Steifensand worked closely with physicians and chiropractors to understand the anatomy of women and men and how if at all sitting compromises these anatomies. Independent medical studies proved definitively that men and women possess different sitting needs and that many problems associated with sitting – migraines, varicose veins, cellulite, fatigue, back and shoulder pain, and lethargy among others – can be relieved and/or eradicated by modifying chair design. Gernot rocked the European office world with introduction of a patented swivel chair designed to meet the specific anatomical needs of women: LadySitwell. The LadySitwell differs from ordinary unisex office swivel chairs in many effective details with proven therapeutic benefits. The seat is level and slightly shortened. The seat upholstery is sprung in the center and particularly soft in the front where the thighs rest. Both features help prevent cellulite. In addition, the chair back is flexible with adjustable height and lordosis support particularly in the region of the second and third lumbar vertebrae, and is narrow at shoulder height and wider at the hips, to accommodate the reverse triangle shape of the woman’s body. 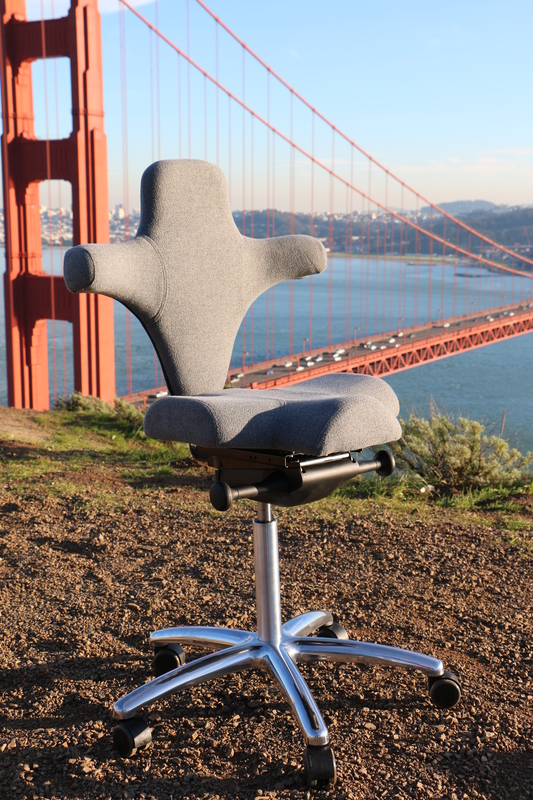 The chair back fully supports the spinal column and intervertebral discs, preventing damage to the joints. 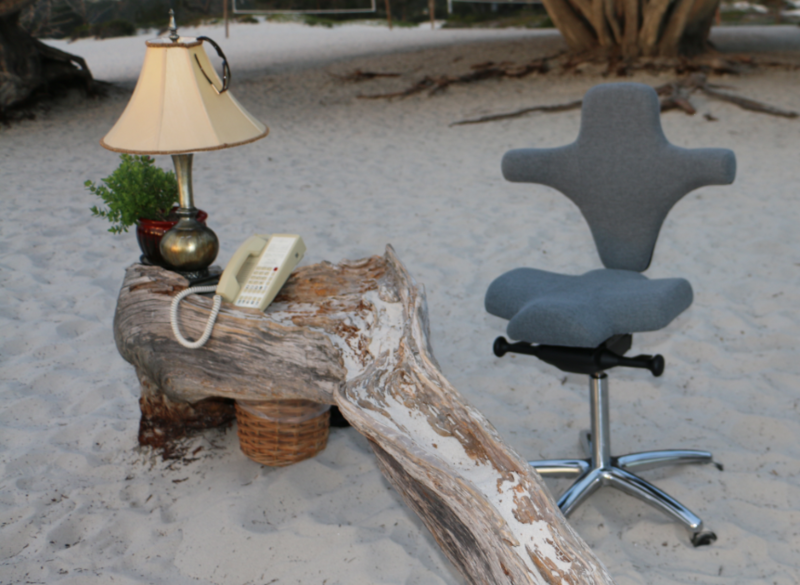 Last, but not least, these office chairs are furnished with a system for dynamic sitting that constantly keeps the muscles and the spinal column in slight micro-motion and that stimulates both metabolism and digestion, increases blood circulation and strengthens connective tissues. But, that’s not all. Women differ in size, height and weight. Those who are a bit taller or a bit shorter know what this means. That is why the LadySitwell is also available in different sizes: S, M, L and XL, assuring that a woman 6 foot tall can take her seat as comfortably as one 5 foot 2 inches.